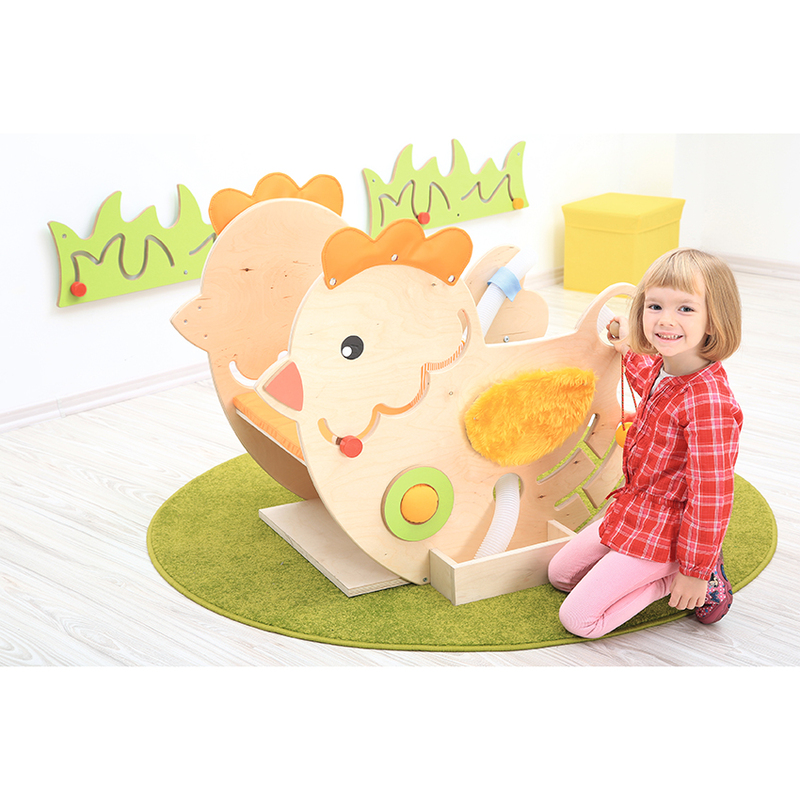 Children learn through play with the Sensory Chicken – offers children lots of moveable, squeaky, musical and textured play elements so that they can discover new shapes and sounds whilst practising motor skills. 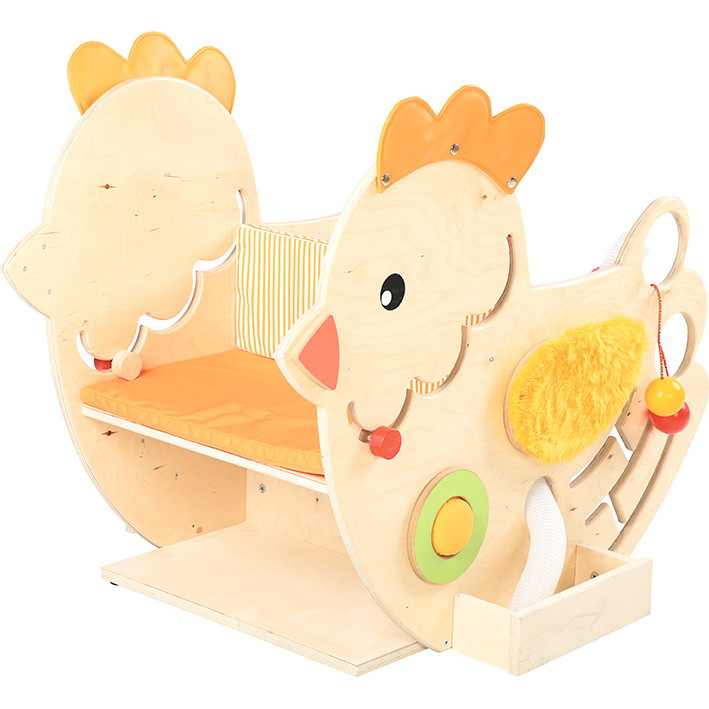 Includes a playful ball tube with 3 balls, seat and cushion. Ages 3+. 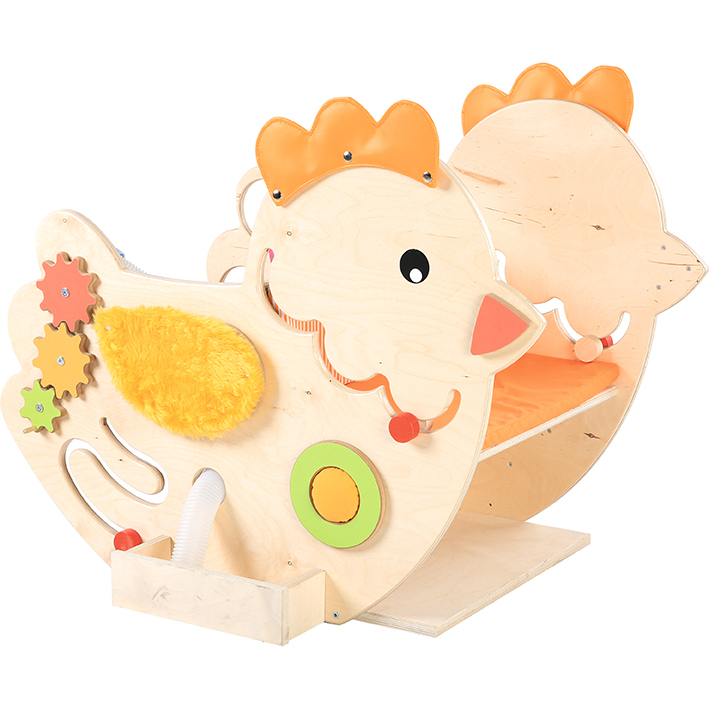 Manufactured from durable and strong lacquered plywood. Supplied flat packed for simple assembly.